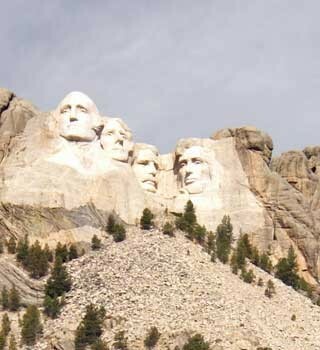 Mount Rushmore National Memorial symbolizes the ideals of freedom and democracy; it is a tribute to four presidents: George Washington, Thomas Jefferson, Theodore Roosevelt, and Abraham Lincoln and their invaluable contributions to the founding, expansion, preservation and unification of the United States. 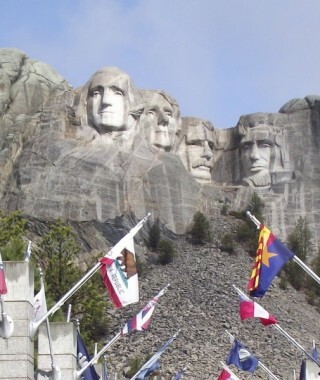 The construction of Mount Rushmore took 14 years and over 400 men. 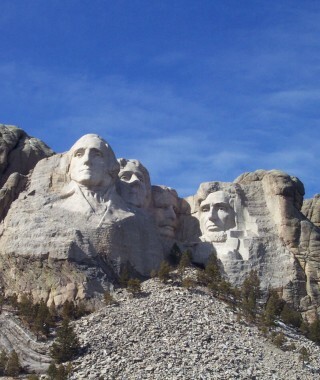 90% of the mountain was carved with dynamite and more than 450,000 tons of rock was removed. Each year, more than 3 million visitors from all over the world come to visit our nation’s Shrine of Democracy.